Pharmacy Franchise Opportunities in the U.S. When you think of the word “franchise” what comes to mind? 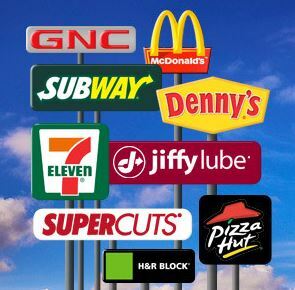 McDonalds, Subway, Jiffy Lube? Not long ago Entrepreneur Magazine released their list of the Top 10 Franchises for 2013 according to factors such as financial strength, growth and startup costs. Sadly, there wasn’t a pharmacy franchise in the top 10. However, GNC happened to make #15 on their top 100 list, a fact that should not go unnoticed by the pharmacy community! This post, however, is about pharmacy franchise opportunities. I rub cyber-shoulders with many pharmacists online. It’s fun, and doesn’t dirty your shirt that way. These interactions have made me aware of the growing interest in pharmacy ownership amongst both new pharmacy graduates as well as the more seasoned spatula-swingers. For many – the idea of ownership offers the ultimate opportunity to implement their ideas and passions for patient care. But that opportunity is not without risks, and would-be owners often find themselves uncertain about leaping into the pool of independence alone. But if I have become aware of anything over the past two decades of my pharmacy career it is this: there have NEVER been more resources available to assist interested individuals (whether pharmacists or not!) in successfully opening a pharmacy. Not only that, but these same resources will not only help get your pharmacy OPEN, but also help make it profitable. Last night I had dinner with a pharmacist friend of mine. He was an owner “back in the day” when such resources were few and far between. In fact, he was instrumental in the establishment of one of New England’s great independent pharmacy owner resources: Northeast Pharmacy Services Corporation (NPSC). Other resources abound. There are great group purchasing organizations like Pharmacy GPO, just to name one. 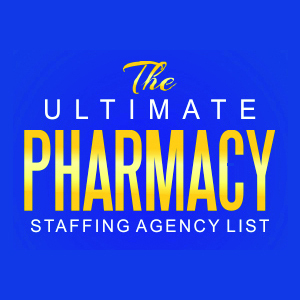 Or resources to help assist independent pharmacies with Business Solutions (marketing, social media, training, staffing) like New England Pharmacy Staffing. Part of what I want to do here at The Honest Apothecary is make sure my readers are aware of those organizations that stand ready to help. Franchises are a part of that picture. And there are 3 major franchise players in the U.S. which can be partnered with when it comes to opening your pharmacy. No surprise that they are all major distributors of pharmaceuticals and healthcare supplies, as it is obviously in their best interest to keep independent pharmacies (who purchase a significant portion of their products) around. AmerisourceBergen offers the Good Neighbor Pharmacy Program. They currently operate over 3,000 pharmacies nationwide. This company is huge, with offices in more than 50 countries around the globe. When opening a pharmacy with Amerisource you don’t need to worry – as one of their spokespersons recently mentioned to me in a phone call – that someone is going to come along and buy them up. For information about the Independent Pharmacy program, visit them HERE. Another major player in the pharmacy franchise world is McKesson with their Neighborhood HealthMart Pharmacy program. They also boast over 3,000 independent pharmacies, and provide a full platform of services to help you grow and become successful. They have contracts already established with 9,000+ insurance plans to make that aspect of ownership easier. For more information about the HealthMart pharmacy program, visit their website HERE. Finally, there is Cardinal Health and their Medicine Shoppe and Medicap franchise pharmacies. Cardinal began in 1971 as Cardinal Foods, a small distribution center in OH. Cardinal acquired Medicine Shoppe (corporately known as Medicine Shoppe International or MSI), at the time the nation’s largest independent franchise, in 1995. In 2003 MSI acquired the Medicap franchise and together they account for about 800 pharmacies here in the U.S. With Cardinal, a 96 billion dollar company standing behind both Medicine Shoppe and Medicap, you know you have a strong partner in your franchise success. For more information on Cardinal’s franchise program click HERE. So those are just 3 of the major players in the franchise pharmacy business. I would certainly encourage you to give any of them a call. Are you a patient looking to do business with one of these independently owned pharmacy franchise owners in your area? Great! I’ll provide you with a click link to the store locator for each of them. Nothing says you have to go with a franchise. Plenty of successful pharmacies are entirely independent. There are still lots of resources available to help you at every step of the way. In fact, if you flip through some of the articles on this blog, you will find many of them. So what’s your opinion? Buy into a franchise? Go it on your own? There’s no one right answer for everyone, in my opinion. I have friends who have followed different paths, and all with measurable success. 2 Responses to Pharmacy Franchise Opportunities in the U.S. Yes there are a lot of pharmacy opportunities in USA just need to catch it. » Pharmacy Careers » Pharmacy Franchise Opportunities in the U.S.